Since CR2S is committing a journalistic sin by blatantly promoting a commercial venture, let’s go whole hog and continue to be an enthusiastic supporter without reserve. With an old Duke Ellington favorite serving as background music, my gut feeling is the revival will be a packed house. But from early inquiries, a persistent and pertinent question arose: What about those who need walkers to get around? A malady facing many Nisei these days. Well, folks, you’re welcome as long as you can manage the (tedious) walk to the theater. Once inside, a cadre of volunteers will assist those in need, especially anyone who might require help to reach a seat in the aisle-less middle of the theater. Now how’s that for thoughtful preparation? Your mobile will also be taken care of. In a historic entertainment first, we’ll call it Walker Valet Parking. I don’t know if ducats are going like a Poston or Gila River windstorm, but methinks you’d best not be a latecaller and get shut out. Tickets are $60 and $45. Special bentos can be ordered as well. An enticing Bring an Oldie option is available to Sansei/sponsor concert-goers: You can bring a Nisei parent/relative/friend free if you buy your ticket before Nov. 1. Call (310) 627-7272 to make reservations for the Ishibashi/Stonebridge production featuring the Jimmy Dorsey Orchestra, Mills Brothers and Island Crooners. 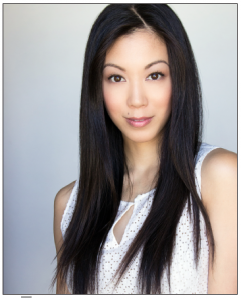 As an added attraction, as if one is needed, Brittany Ishibashi, Anne Ogami of the Emmy-nominated show “Political Animals,” will serve as the evening’s hostess. Talking up TGNR concert resuscitates wartime memories. When leaving Poston for the third and final time (full explanation someday), I was a just graduated sixteen-year-old trying to figure out a way to follow first love to New York City. First stop was feeding clanging tins down a chute to waiting machines at a Utah cannery for the munificent pay of fifty-seven cents an hour. Then followed a stint trucking muddy crates of celery to a wash rack where ladies trimmed; extra night hours were spent loading and icing down railroad cars. Instead of clothes or entertainment, started to buy cheaper used records — Bluebirds, RCA Victors, Deccas — in a sad effort to retain romantic memories of camp. Even thirty months overseas, which happened to coincide with Jim Araki’s historical impact on Japan’s jazz world, didn’t deter my record collecting. Actually it improved immensely as limited edition V-discs were cut by musicians and singers expressly for the military — recordings that were not released for civilian consumption. The arrangement was for a little ole Jappo staff sergeant to be the custodian of the unique platters. They somehow made their way from Kyoto to Riverside. After more than twelve years of keeping a daily diary, I quit the ritual when my mother sadly informed that our barn had burned to the ground. The collection of thoughts and events from Nov. 25, 1941, to USC circa ’53 had gone up in smoke as the Army footlocker that held the memoirs was in the farm structure. My hobby of collecting Big Band 78s, by then numbering more than 900, ceased at the same time; a double funeral burial. The announcement that the pending sale of Keiro HealthCare to Ensign Group has been denied by the Attorney General’s Office was a bombshell! AG Kamala did not ask CR2S Wimpy for input so I have nothing to say — at least for now. W.T. 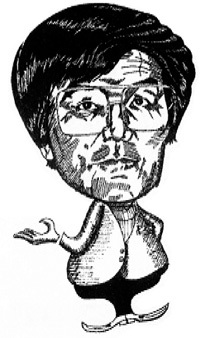 Wimpy Hiroto can be reached at [email protected] Opinions expressed in this column are not necessarily those ofThe Rafu Shimpo.